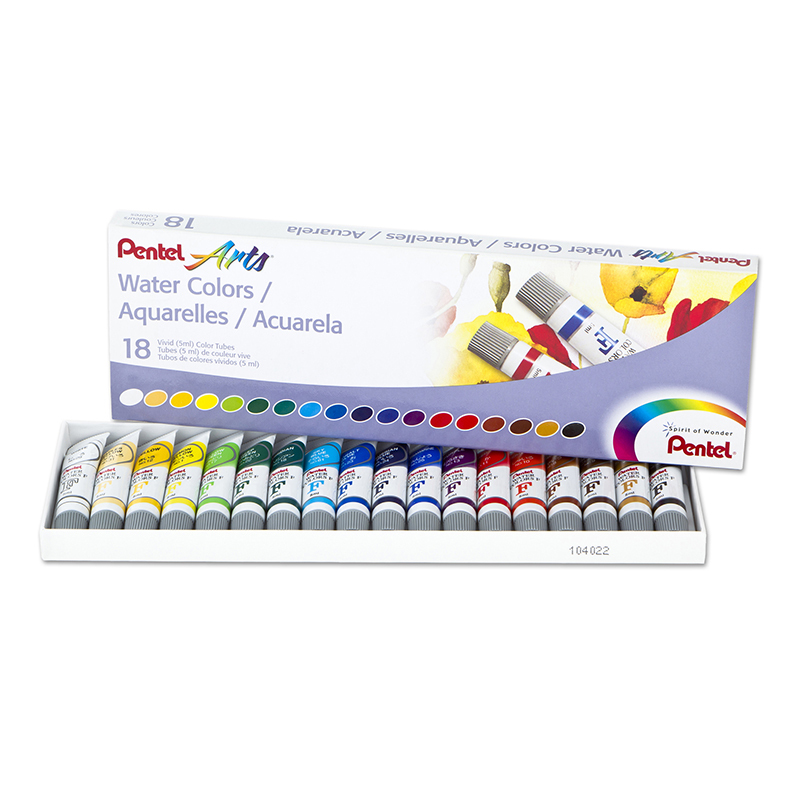 The Pentel Arts Watercolors feature rich colors that blend easily to create dramatic to subtle hues. 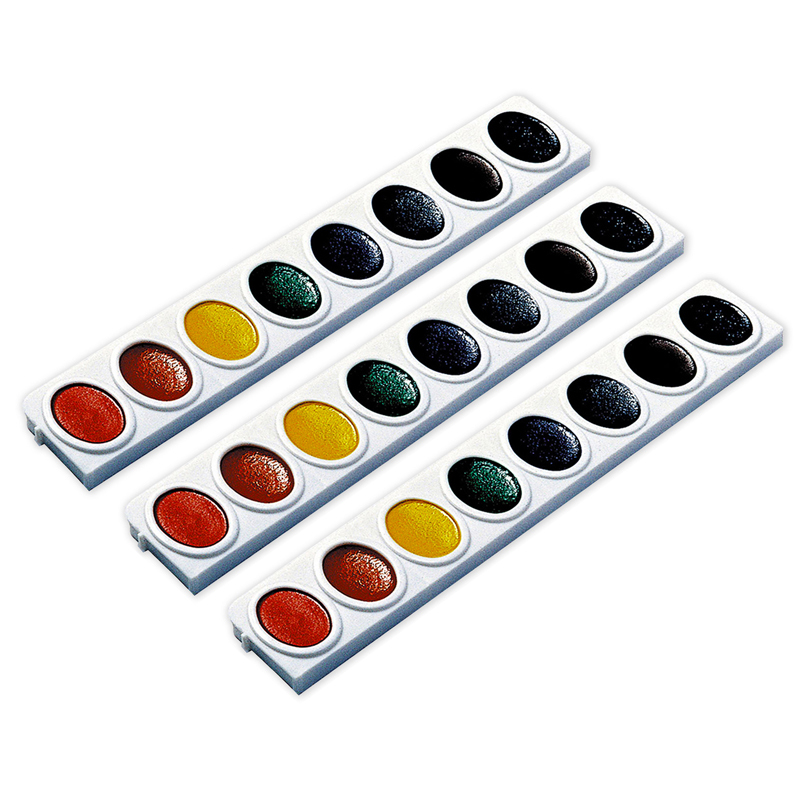 The watercolor paints dry evenly, resist fading and will not crack or flake. 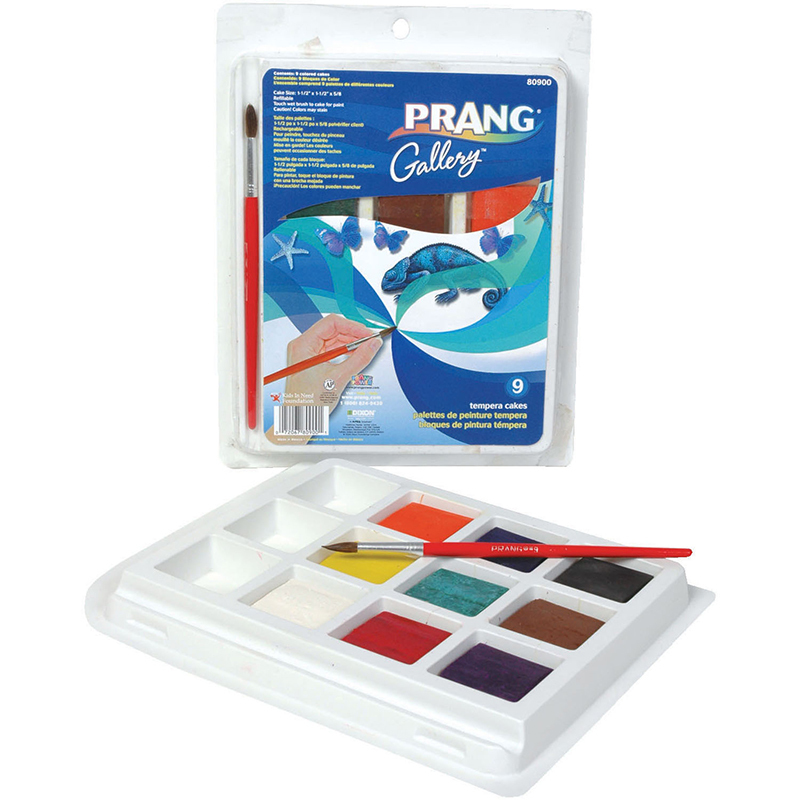 These watercolors are great to use in conjunction with oil pastels and color pencils and ideal for glazing without turning "muddy." Once colors are dry on a palette, they can be re-used by simply adding a bit of water. Each color comes in its own 5ml plastic tube, designed to allow every last drop of paint to be used. Paint is acid-free and certified by ACMI. 24-Color Set. 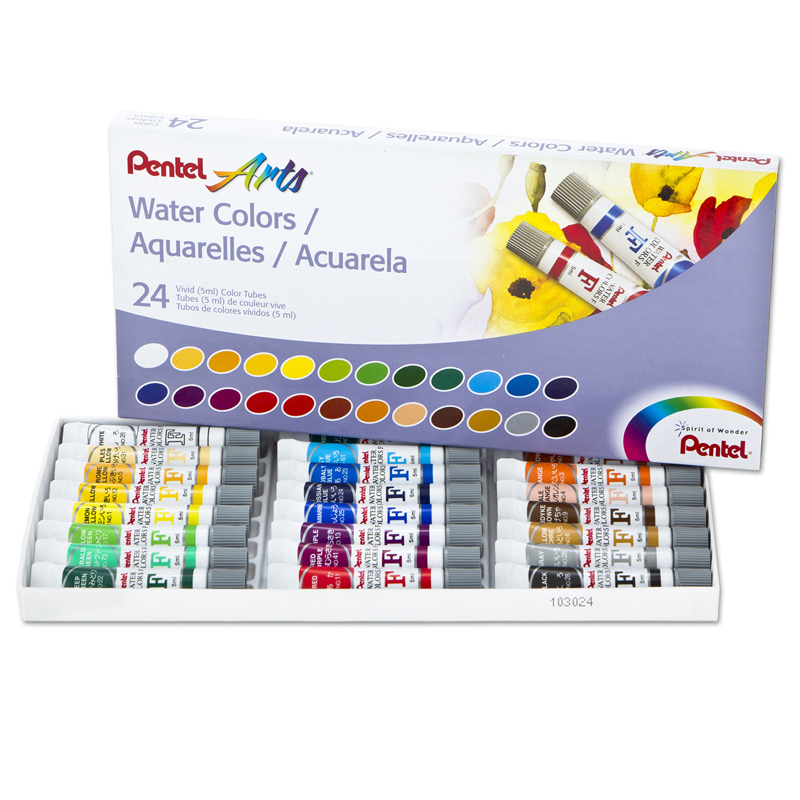 The 24 Color Pentel Arts Watercolor Set can be found in our Paint product category within the Arts & Crafts.